Concentrated drink that contains L-Carnitine base (99%), Guarana Extract and Green Tea. A product specially developed to stimulate fat metabolism. 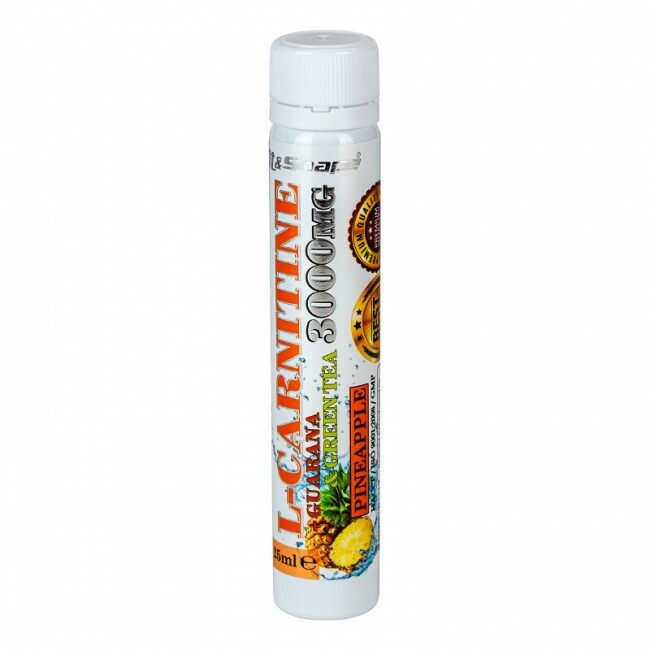 L-carnitine improves fat metabolism, by transporting fat to cell mitochondria, where it is burned. Increases efficiency of the brain and improves focus on training. Special added Guarana and Green Tea stimulate extra fat burning. 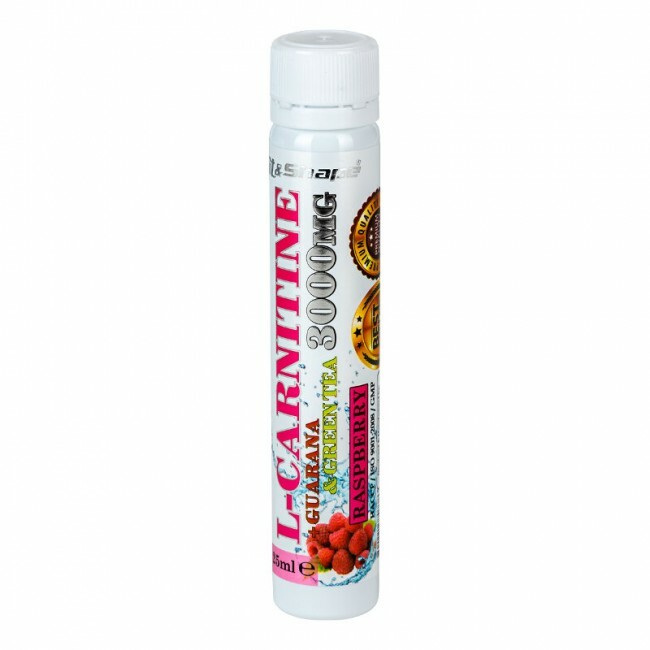 In combination with L-carnitine this product is your best choice for burning body fat. 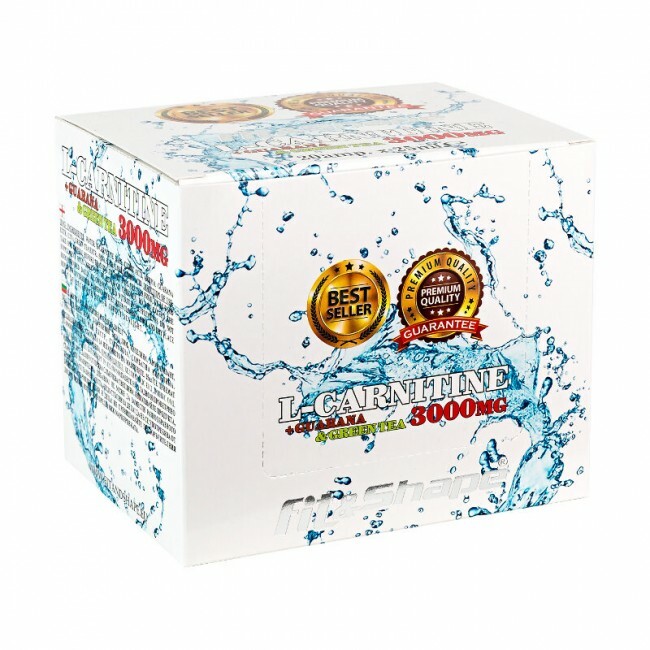 One of the most important functions of L-carnitine is that intake of 2000 mg-3000mg before training helps correct and rhythmically cuts to the heart muscle (heart). This allows its better performance - reduces pulse train and increases its endurance and energy. Each ampoule of 25ml contains 3000mg L-carnitine, guarana 125mg and 13mg Green Tea. For best results take one Apulia (25ml) 30-45min. before training. Be careful with taking this product late at night due to its content of guarana and green tea that can lead to sleep disturbances. Water, l-carnitine base, acidity regulator: citric acid, guarana extract, green tea, vitamin B6 and B9, flavoring, sweeteners: sucralose, stevia, preservatives: sodium benzoate, potassium sorbate.